LinkedIn may lack the “cool” factor of Facebook and Twitter, leaving many to argue whether its platform holds the same power as its social networking counterparts. However, whereas Facebook and Twitter attempt to meet any and all needs of their consumers, LinkedIn has focused on the niche it knows best–professionals. As a result, LinkedIn has created some of the best tools around for maximizing professional networking and lead generation. Unfortunately, these great tools are either well-hidden or often overlooked. Fortunately for you, we’re shedding light on three little-known tools that can help you expand your lead generation efforts and get your company noticed. When it comes to building leads these days, content is king. Being known as the trusted, go-to resource for relevant and interesting information increases the likelihood potential buyers will come to you over a competitor when it comes time to make a purchase. LinkedIn Today makes it simple to find the hot topics your target market is talking about. 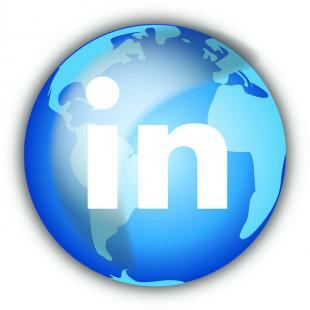 Think of this tool as a customizable feed reader embedded directly into your LinkedIn dashboard. The LinkedIn Today tool shows you how often the article has been viewed, liked and commented on, as well as what influencers in your field are sharing. Start by selecting what topics and influencers you’d like to follow. Every day, take 10 minutes to share an item on your or your company’s news feed, as well as participate in the comment thread. Research articles around a highly shared news item and generate new conversations on your company page or group. Build content (blog posts, white papers, ebooks) around popular content ideas. Studies have shown it takes between six to eight exposures before a customer decides to build a relationship with a brand. Ensuring your company is constantly at the top of mind increases the likelihood you will be the relationship they want to pursue. All right, you’ve got their attention–now it’s time to show them what you can do! Adding customized banners to your company’s LinkedIn page is free of charge and an easy way to highlight your products or services. You can add up to three banners, which can link back to campaigns, your website or blog. These banners are great for delivering call-to-action messages combined with an attention-grabbing graphic. Check out the nonprofit Taproot to see an example of how they used their company page banners to increase engagement. Additionally, you can create multiple variations of the banners that can be targeted to a particular segment of your target demographics. Have a different set of banners display for potential employees, consumers or partners. Go to your “Products” tab on your company page. Now that you’ve established your company as an authority in your field and highlighted what you do, let’s get started collecting information using LinkedIn’s Lead Collection widget. Once enabled, the Lead Collection widget allows you to gather consumer information right from your company page. A small box will appear at the top of your company page, encouraging prospects to input their email address and submit to you with just one click. The box is non-invasive and great for mobile users, who typically will opt out when asked to type in lots of information from their phones. Go to your Ad’s Dashboard and click on a specific campaign name. Change the “Collect Leads” setting to “Yes”. You can disable this feature at any time. Any one of these three hidden LinkedIn tools will help develop more quality leads for your organization by establishing your company as a trusted resource and drawing more attention to your services. Combined however, these tools are a great strategy for maximizing your team’s investment in LinkedIn as a lead generation medium.